DT Swiss hubs are featured as original equipment on more professional quality bicycles than any other brand. We especially like the 240-s and the 350 (an asian version of the 240) models. DT is the only hub other than Shimano that offers compatibility with the centerlock disc interface, if you wish, (most are 6-bolt). 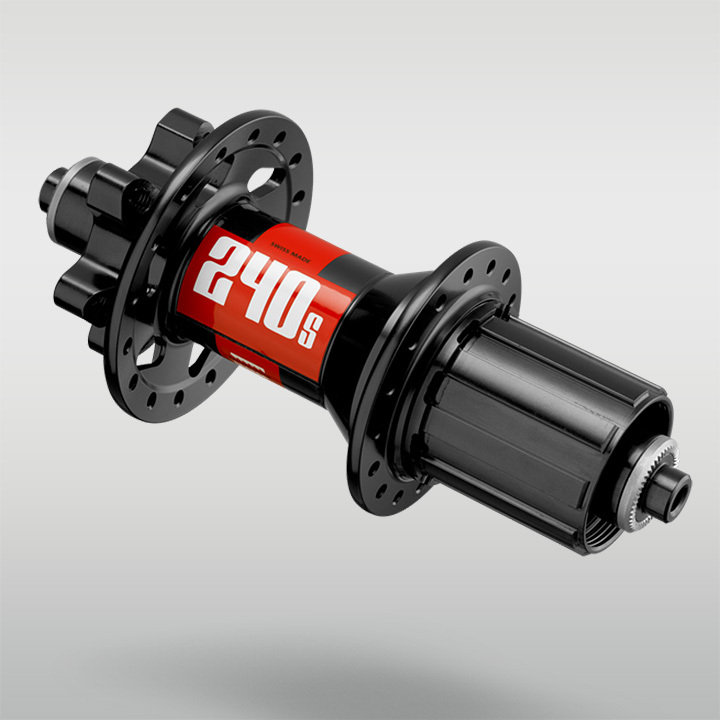 The 240-s and 350 rear hubs share axle end-caps and ratchet design, and are compatible with most frame types. The front hubs are more complicated. 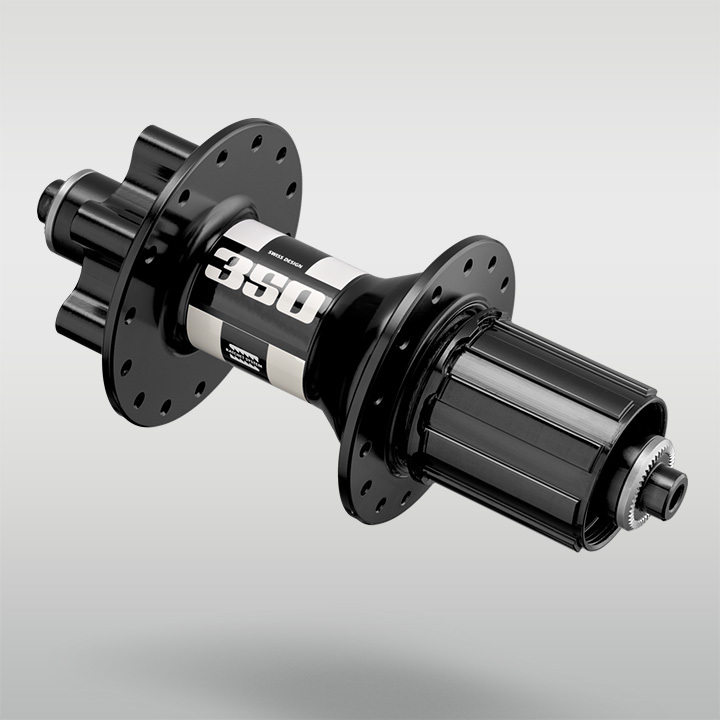 The 240-s 6-bolt quick-release hub cannot be switched to 15mm without an expensive aftermarket replacement for the axle and bearings. 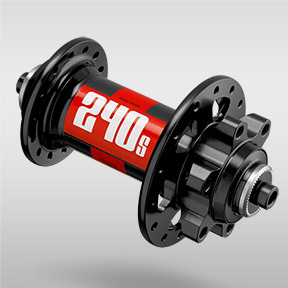 The 240-s 15mm front hubs are centerlock only, but can use an adapter to allow for compatibility with 6 bolt discs. 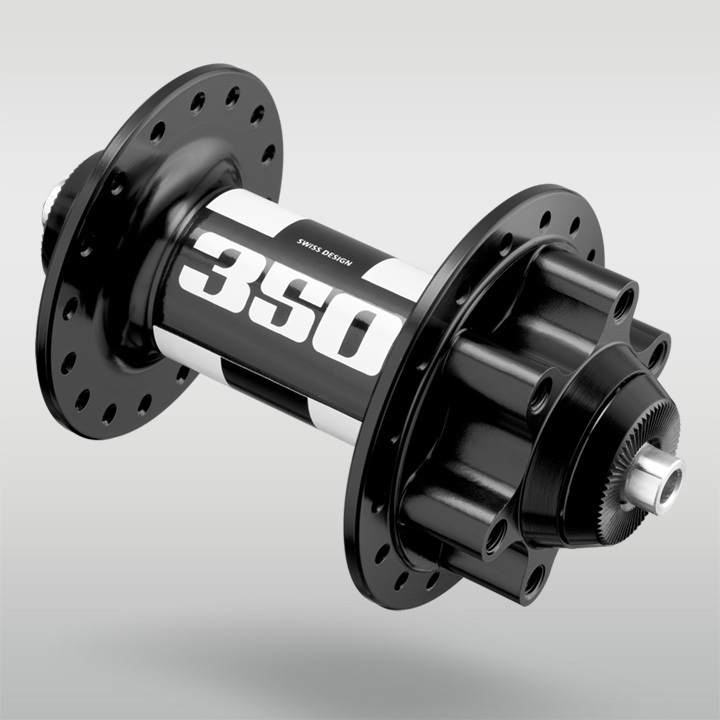 The 350 model 15mm front hub can be either 6-bolt or centerlock format but cannot change axles. The 240-s "oversize" front hub comes with a 20mm axle and can be retro-fitted to fit 15mm or standard quick release. We're not sure why the situation is so convoluted but would be happy to personally explain it, if you are still confused. Despite their light weight, the DT Swiss hubs can be used by heavy riders, owing to the strength of the unique "Star ratchet" design. The stock ratchet rings have 18 points of engagement (20 degrees) which is not particularly quick, but a moderately priced up-grade can convert it to a 36 point engagement which is pretty quick. The somewhat pricey 240-s is a lightweight leader in tough applications. The 350 is moderately low in price and weight, but not in strength and quality. DT Swiss, lightweight performance and long term reliability. I read many of the reviews here and had high expectations. I have not been disappointed. It has been a significant improvement in the bike. I had no idea how much flex I had in my wheels until the upgrade.